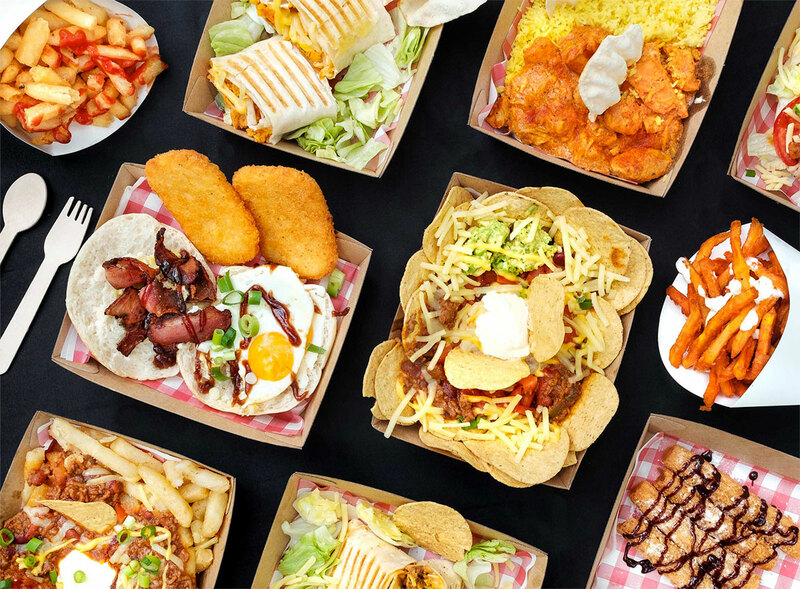 Grab the Best Street Food in Sydney! 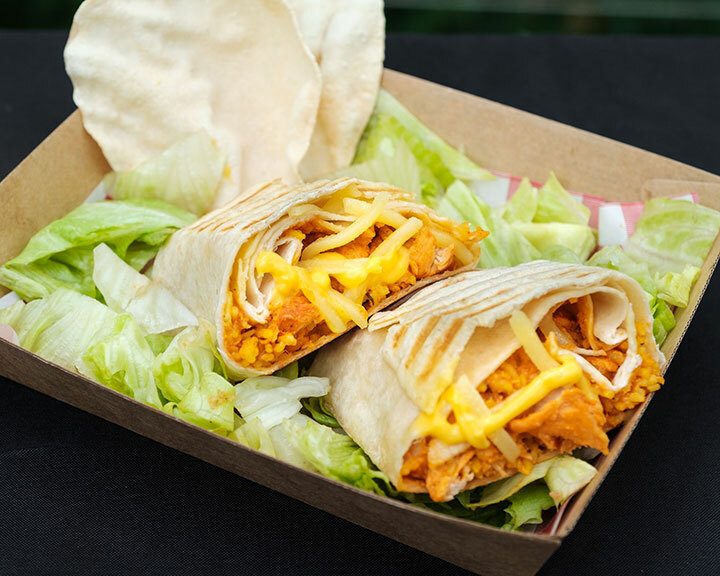 We serve yummy healthy hand held meals at festivals and venues throughout Sydney and NSW. Our menu has been developed over time to include delicious favourites from around the world. We offer a range of flavours from just about every culture and cuisine and tailor our meals to suit each event we attend. 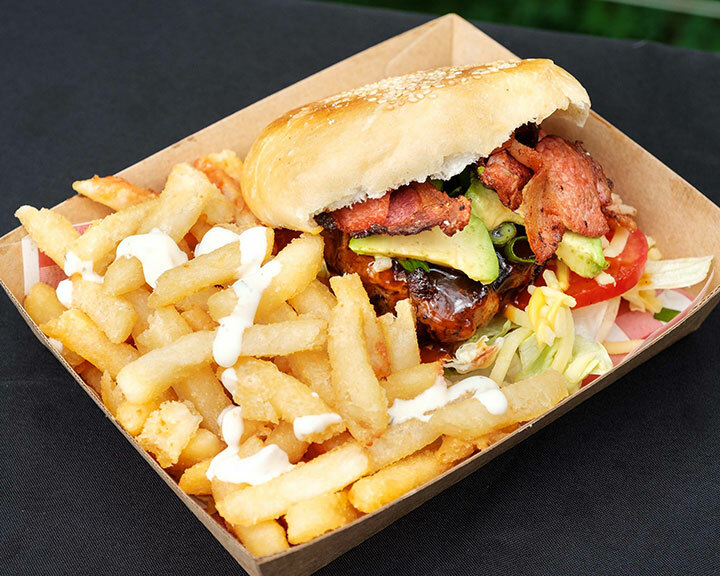 Whether it’s a festival, special wedding day, corporate function to impress clients and staff, an outdoor get together or kid’s party, Foods of The Realm’s self-contained truck, prides itself on delivering an unforgettable experience. It’s buttery, it’s cheesy and its almost famous. Delicious Butter chicken with aromatic rice and nacho cheese wrapped in a 12” tortilla with lettuce garnish and a pappadum. 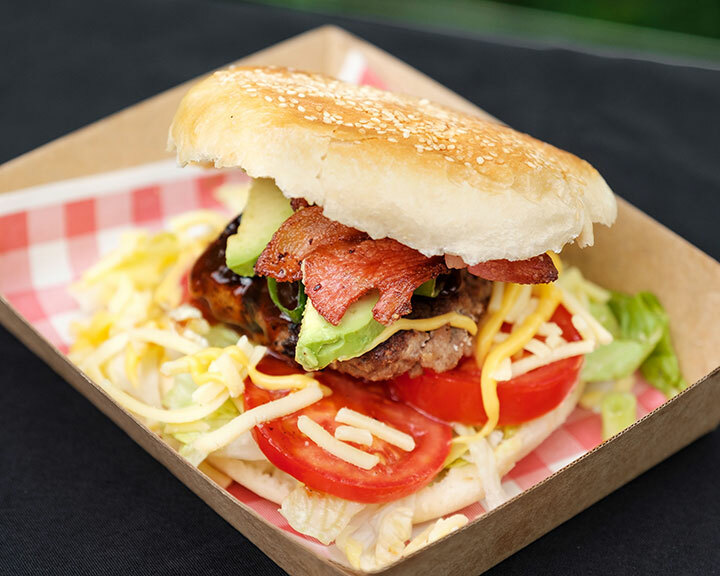 Juicy beef burger with 2 cheeses, tomato, lettuce and pickle served in a milk bun with our special bbq and burger sauce. 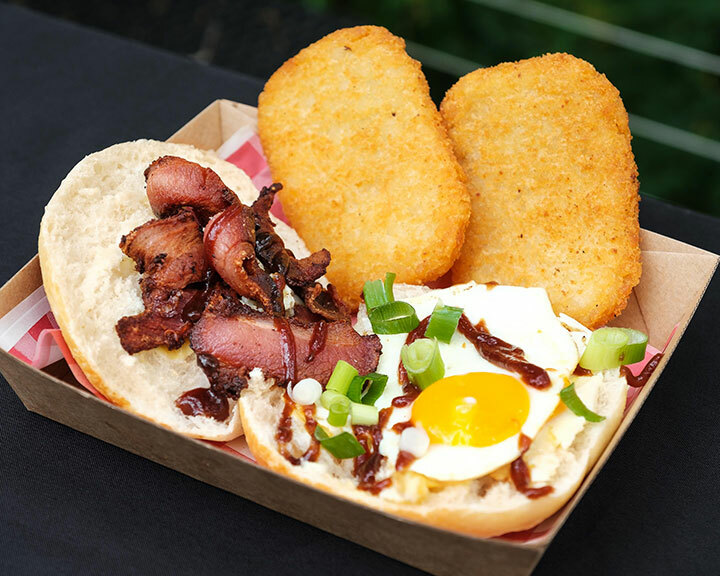 Free range eggs meet middle bacon and fresh bun to create crispy gooey goodness. 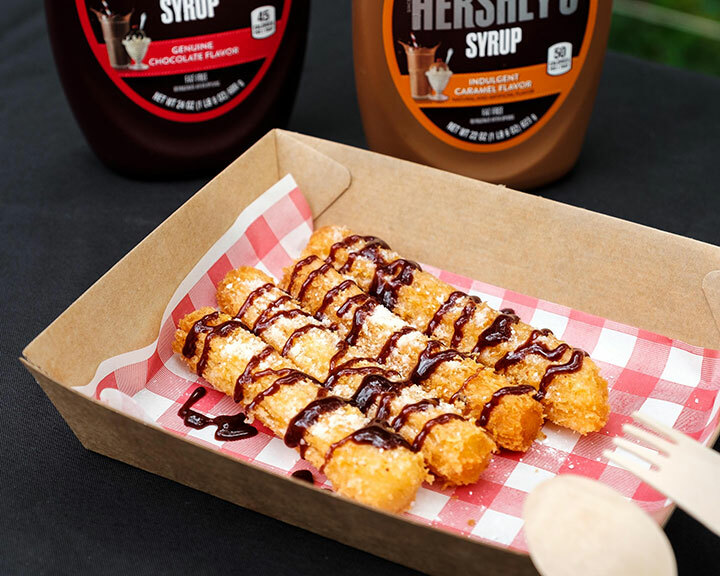 Served with barbeque sauce and optional hash browns. Your belly will love you long time. Mountainous bowl of beef mince, black and red kidney bean nachos combined with corn chips, guacomole, jack and nachos cheese, jalapenos and our special tasty tomato salsa. Topped with sour cream and chives, your appetite is doomed after this encounter. MADE FROM THE FRESHEST INGREDIENTS DAILY! What else ye’ got cookin’? 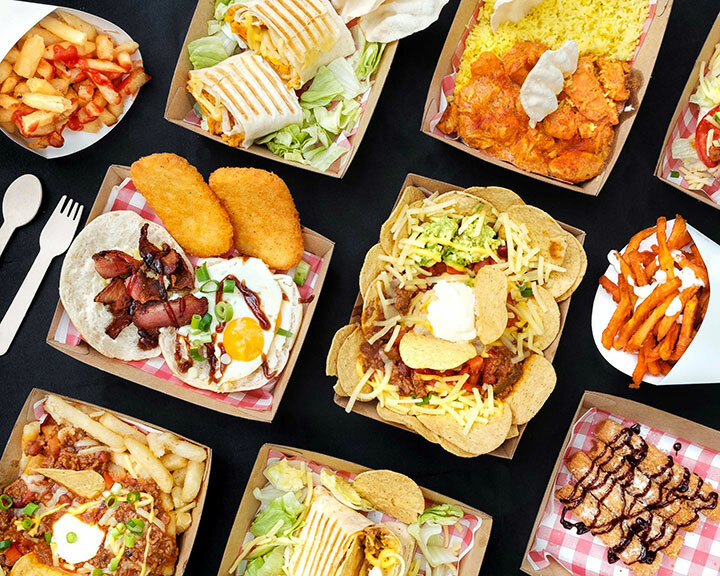 Although we generally serve our crowd favourites, our menu is constantly evolving and can change depending on seasonal produce and the type of festival and venue we are at. 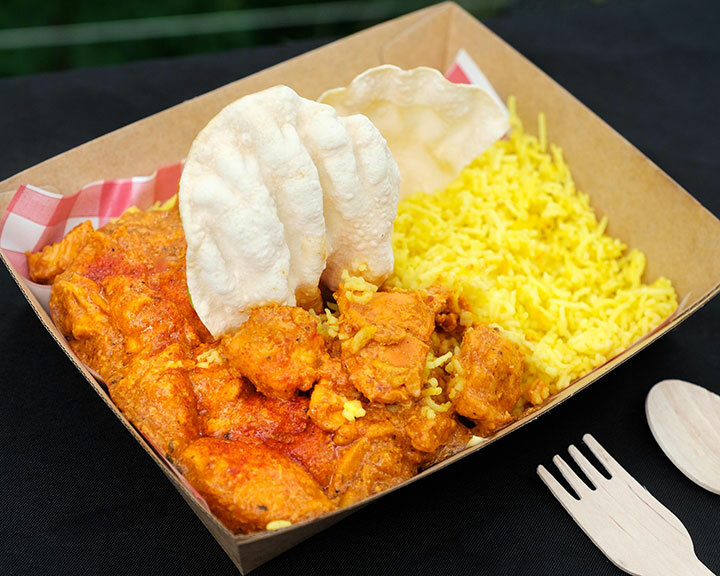 Our trucks are available to provide onsite catering for any event. We know that each celebration is unique and has different needs and requirements. You can contact us for corporate events, weddings, cocktail & private parties, coronations, engagements, birthdays, surprises, brand activations, royal banquets, medieval theme parties, etc. We cater for a variety of different tastes and budgets. 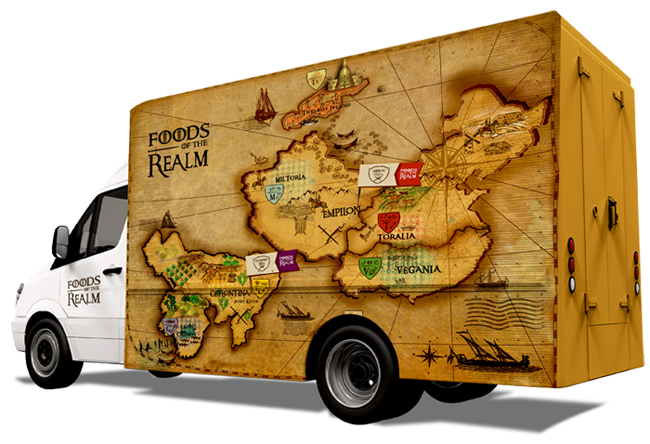 Foods of the Realm are proud of its achievements. We serve delicious and healthy hand held meals from two distant lands in the Realm, Ceylontina and Empilon. In Ceylontina, their majestically spiced deep fried meals called ceylonadas, are rolled in beautiful pancakes and breadcrumbed for a crunchy and remarkable flavour. Ceylontinians love to eat with their hands, and dip their Ceylonadas in perfectly matching sauces. Empilonians cook their empanadas with a variety of fillings based on the different houses that inhabit their lands. For example the house Vegania, cooks with no derivatives of animals, but the Toralia house prepares their fillings with beef or creamy chicken. These two lands have contests every year to present their best Ceylonadas and Empanadas, and we chose the winning dishes to bring this amazing flavour to you. Welcome to the Foods of the Realm. Check out our social pages for more information and updates. 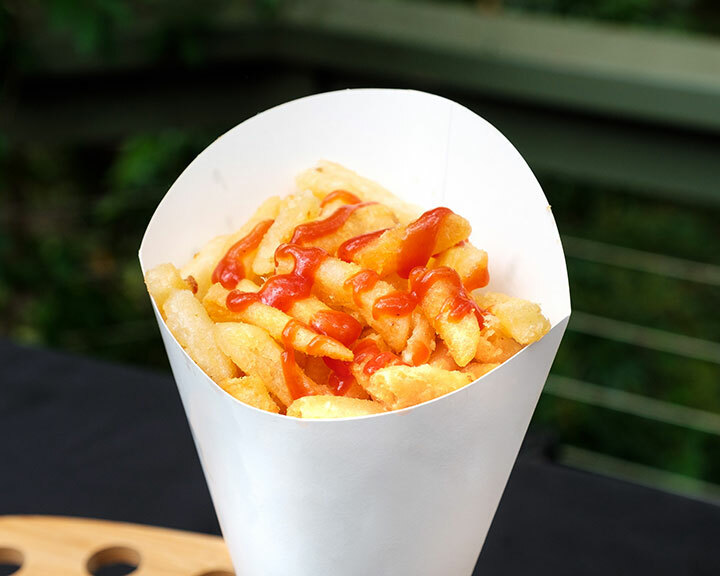 FOODS OF THE REALM | 59/14 Narabang Way, Sydney, Australia. | Website by Artsmart.